Greetings to everyone who subscribed to this blog after my recent post about the inhabitants of a clump of sod in my front lawn! This one will take us a little farther afield. As most of you know, I’ve been working on a guide to North American leafminers for the past seven years or so, and in order to make its coverage as complete as possible, I periodically go on road trips with my wife Julia in search of species that can’t be found in our own yard. 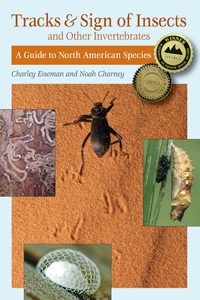 Insect species known or presumed to mine leaves in North America include around 1200 moths, 800 flies, 200 beetles, and 40 sawflies. There are numerous species in the first three groups that are known only from caught adults, so no one knows what types of mines they make and on what plants. The situation is better with the sawflies: when I started this project, the hosts were known for all but two species in the main leaf-mining group, the tribe Fenusini. One of these was Metallus ochreus, which Dave Smith had described in 1988 from adults caught in Virginia and Maryland. This turned out to be a common species feeding on dewberry here in New England, including in my own backyard, as discussed here. The remaining enigma was Prolatus artus, which Dave had described back in 1967 from a single female he had caught in southwestern Oregon in 1962. When Julia and I took our first trip to the western US in the fall of 2012, we found sawfly larvae mining huckleberry leaves in western Washington. I thought maybe we had discovered the host of Prolatus artus, but no, it turned out to be a new species, which Dave and I named Scolioneura vaccinii. When Julia and I took our second trip to the western US in the summer of 2015, we didn’t go as far as the Pacific Coast states, but in Colorado Julia spotted some sawfly larvae mining leaves of a wild rose. I thought maybe these could be Prolatus artus, but no, they turned out to be just another new species, which Dave and I named Fenusa julia. In the late winter of 2017 we took a short trip to the Southwest, and we met up with our friend Eric LoPresti outside of Phoenix, Arizona. Here we found some larvae mining leaves of a plant called “blue dicks” (Asparagaceae: Dichelostemma capitatum). To my great surprise, these turned out to be sawfly larvae. There were no previous records of any sawfly mining leaves of a monocot (unless you count Eutomostethus luteiventris, which bores in stems of rushes and sometimes extends its tunnels into the bracts). For all I knew this could be a weird species in some group of sawflies whose larvae normally do something other than mine leaves. My #1 priority on this trip was to follow up on a discovery Eric had made the previous year in southern California, of sawfly larvae mining leaves of a plant called fiddleneck (Boraginaceae: Amsinckia intermedia). I suspect these larvae belong to the genus Kerita, which is in the smaller, lesser known tribe of leaf-mining sawflies (Pseudodineurini). The eastern species K. fidala feeds on another boraginaceous plant, Virginia bluebells (Mertensia virginica), and there are two western species whose hosts are unknown. When we got to California we found the larvae in great abundance everywhere we encountered fiddleneck. Unlike the Fenusini, which have to complete their development in whatever leaf they start out in, larvae of Pseudodineurini are able to establish new mines in fresh leaves. So we were able to supply the larvae we’d collected with a constant supply of fresh fiddleneck leaves, and a few dozen reached maturity, burrowing into the jars of soil I provided them to wait until it was time to pupate and then emerge as adults. Disappointingly, nothing ever came of any of those fiddleneck larvae. A year later I sifted through the soil in one of the jars and could find no evidence that any insects had ever been there. However, two of the nine larvae from the blue dicks leaves did emerge as adults ten months after we collected them. Eiseman, Charles S. and David R. Smith. 2019. Prolatus artus Smith (Hymenoptera: Tenthredinidae), a leafminer of Dichelostemma capitatum (Benth.) Alph. Wood (Asparagaceae). Proceedings of the Entomological Society of Washington 121(1):115-118. 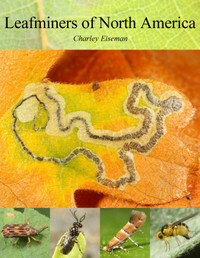 This entry was posted in Solved Mysteries, Uncategorized, Unsolved Mysteries and tagged Amsinckia intermedia, Arizona, Asparagaceae, blue dicks, Boraginaceae, Dichelostemma capitatum, fiddleneck, larva, leaf mine, Prolatus artus, sawfly, Tenthredinidae. Bookmark the permalink. What a great mystery story!! So glad that you and David Smith have been so persistant! A lot of desert bees will sit tight for many years – is it possible the Amsinckia ones are dormant pupa? Yes, it’s possible, and I haven’t thrown anything away yet, but the fact that there seemed to be nothing living or dead in that one jar wasn’t encouraging… The easiest thing would be for somebody to go the site a week or so earlier and try to catch some ovipositing adults! I found that one sawfly ovipositing in Amsinckia in Arizona, but it was a bigger species with externally feeding larvae.